I like old houses best, don’t you? With doors too green and blinds too blue! Not to go cluttering up the view. 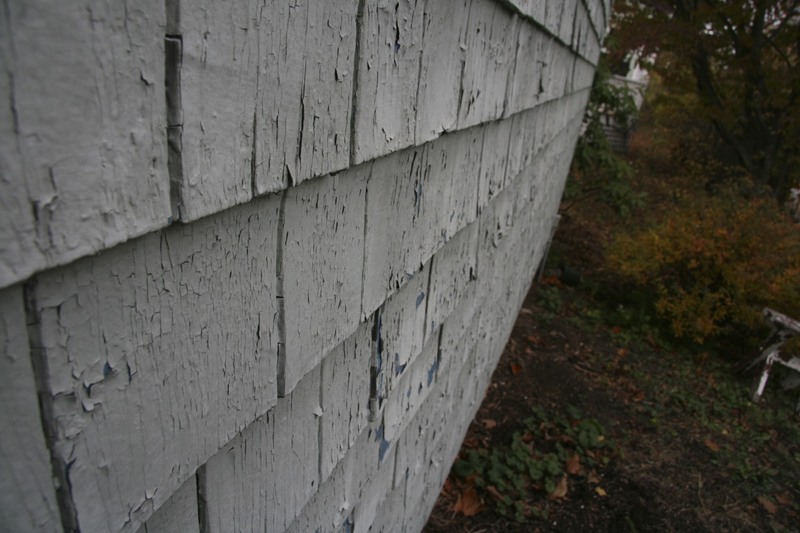 That’s a picture I took last November of the chipping paint on my house. I think the best part of old houses is the chipping paint. Perhaps because of the disproportionate amount of lead paint chips I ate as a child. Super cool and foreboding art/photo project. I think I will sort through my things when I get home, and see what I would take. If your house was on fire, what would you bring? Went home for a day. Here are some photos I took.